As you know, many people believe that December 2012 is The End. The Seventh Day Adventists and Jehovah’s Witnesses haven’t bought into that date, so why should we? The 2012 catalogues for Feral House and Process Media prove that we are optimistic enough to believe that technology will not totally fail, and that people will be functional enough to spend time reading books, both in their Gutenberg-style physical form as well as the etheric bytes that can be downloaded and read on a Kindle device or iPad. 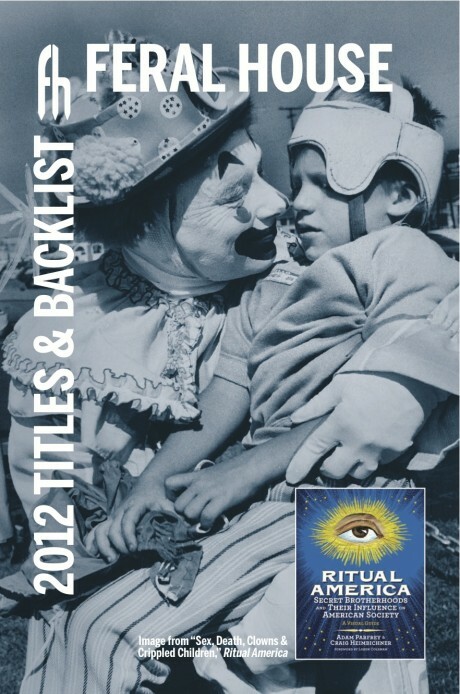 Feral House’s 2012 catalogue has just appeared, and is easily downloaded from the home page HERE. Both Feral House and Process Media catalogue are also available in their physical form, and we’d be happy to snail mail them to you if you send your requests to info@feralhouse.com. We are excited about many of the titles that will soon be published, so have a look!